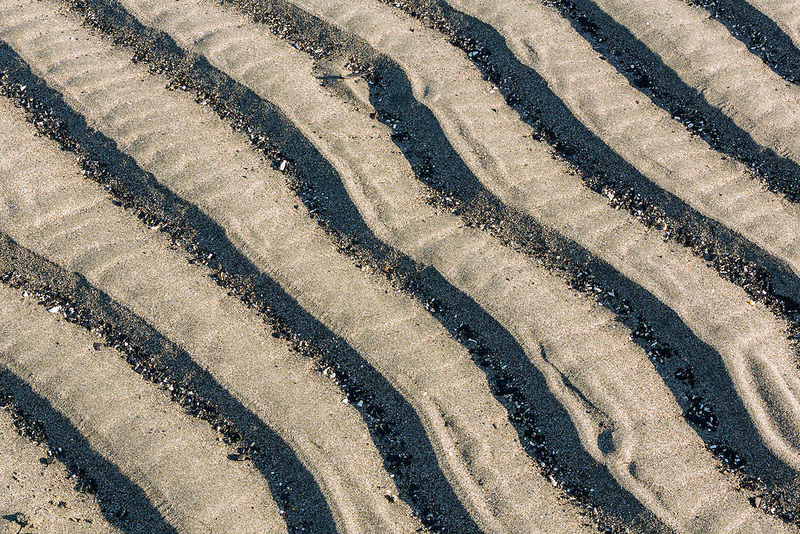 Focus stacking composite of low tide patterns abstract in sand of Kachemak Bay along the Homer Spit in Homer in Southcentral Alaska. Spring. Evening.